I came across this today at the blog Tokyo Mango: a "USB-powered lunchbox warmer from Thanko [that] will keep your meal at a constant 60 degrees Celsius until you're ready to eat it." Once again, I am delighted and awed by Japan's bento brilliance. No need to use a microwave or even get out of your chair. Just plug your lunch in to your computer when you get to work, and it's there, hot-n-ready, at lunchtime! How cool is that? And, more importantly, when is it coming to America? Here's the Thanko product page, all in Japanese, unfortunately. "We are doing some product innovation and line extensions to offer folks better options for non-plastic, reusable food containers. To help us create these new products, we've compiled a survey to help articulate some of the needs and wants of consumers." Here is a link to the survey. At the end of the survey you'll find a 40% off coupon for To-Go Ware! Out of more than 7,000 social reform proposals submitted to the Change.org website for presentation to the Obama Administration, our Vegan School Lunch proposal has gained 17th place! Only a couple thousand more votes are needed to place us within the top ten that will be presented! 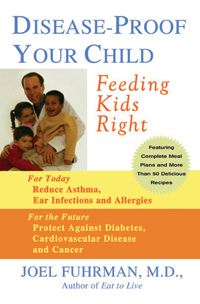 Their proposal would "require USDA to facilitate healthful plant-based (vegan) school lunch options to promote public health, freedom from hunger, environmental quality, nonviolence, and kindness to animals." Sign up with your name and e-mail address on the Change.org website. Visit FARM's vegan school lunch proposal, and click on the number to cast your vote. Shmoo picked and packed his own lunch again today. My little boy is growing up! He even went with me to the store and hand-picked the Brussels sprouts, so today this was all him. First, he fried some Smart Bacon and made a BL without the T (he still doesn't care much for fresh tomatoes, but lettuce is now okay). We packed it in a Lunch Skin from 3greenmoms. 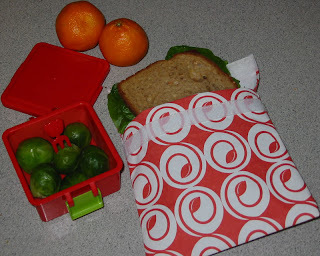 These washable bags are made to take the place of disposable bags in the lunch box. Shmoo complained that the pattern was "too girly", but it's the only one they sell right now. Finally, although he thought that was enough, I insisted on some fresh fruit, so he added two darlin' clementines for dessert. Here's the Lunch Skin folded up and ready to go. Look, it even has a place to write your name -- handy when you have a kind who tends to misplace things at school. Verdict: He ate it all up and (what a relief!) remembered to bring the bag home. The bag was easy to turn inside-out and wash; now it's hanging on my plastic bag drier, waiting to be used again. 4 stars. Well, is everyone enjoying being back to school and work after the holidays? 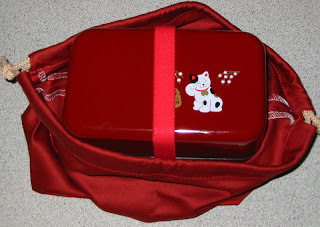 Shmoo went off to his partnership school today (he attends a once-a-week school for home-schoolers), and was excited to finally be packing a lunch in his new Red Kitty Bento Set from I Love Obento. His favorite animals are cats and tigers, so he loves the cat on the outside of the box. 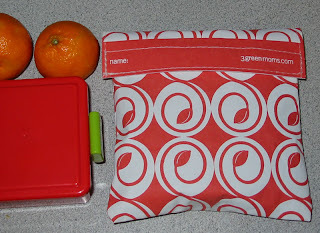 Here's the bento all put together and nestled into its matching bento bag. It turned out that the top tier sits farther down into the bottom container than we thought, so we had to take out some of the baby carrots and rearrange things. 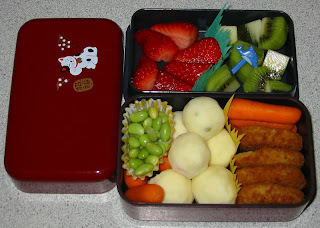 Verdict: I was worried; would that little bento box really hold enough food for a 10 year old? Shmoo reassures me that it was more than enough to make him full; he couldn't even finish the last potato salad ball. But still, the first thing he said when I went to pick him up was, "I'm hungry!" 5 meows.